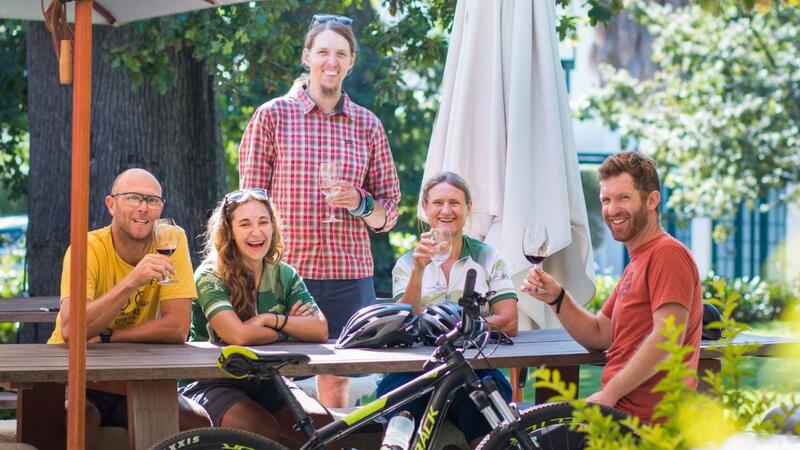 Experience the oldest Cape wine route whilst cycling through the sophisticated Constantia suburb that has some of the finest structures of the Cape Dutch architecture. 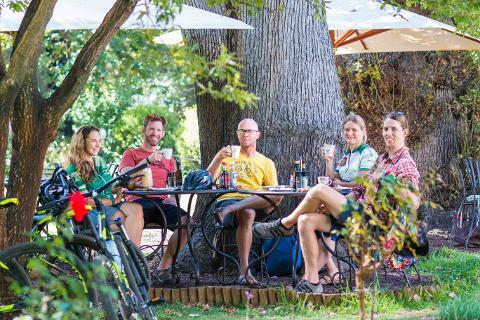 Enjoy winetasting and gourmet lunch whilst exploring the valley on a bicycle. 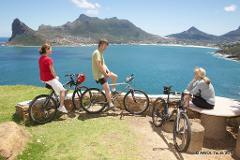 Guests are met at accommodation and transferred to Groot Constantia. 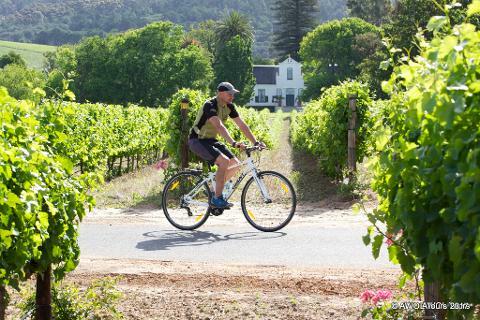 We then set off on bicycles to explore the Constantia Valley where Dutch governor, Simon van der Stel, started the wine industry of South Africa dating back to the 17th century. 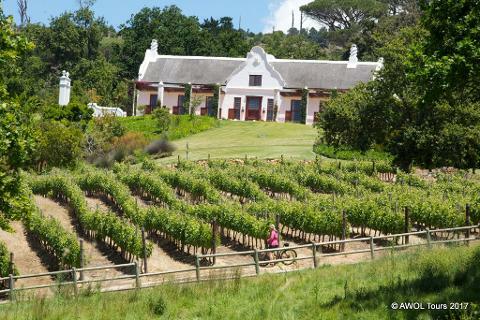 We visit the historic Groot Constantia Estate. We will introduce you to full array of the valley's award winning wines, and you will learn about the regions rich history. Along the route you will pass a kramat (mosque) built for the slaves that the Dutch East India Company imported from south east Asia. Please advise if you have a preference on either the below cycling options. Your guide can discuss options with you on the day. 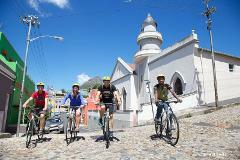 An option for those who would be to try out mountain biking through the Constantia Greenbelt. 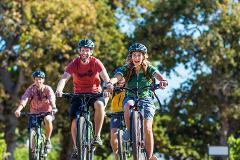 This urban bike ride meanders along the Keyser and Diep River with a few technical sections over rocks, roots and bridges. 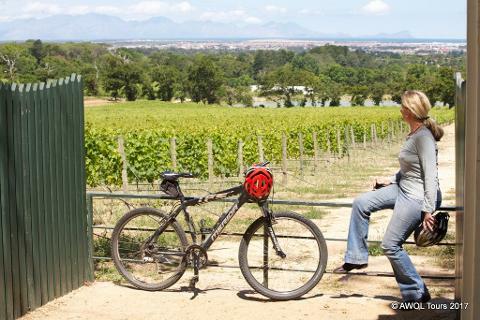 The route continues through to the lower Tokai Forest to Constania Uitsig wine estate. From here we cycle on quiet suburban tar roads to Buitenverwachting for wine tasting. During tour can indulge with some of the most well-balanced wines that South Africa is proud of. 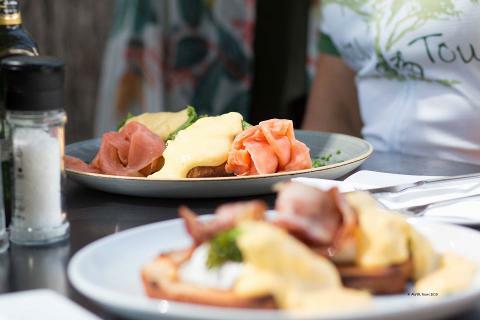 Vineyards like Buitenverwachting, Groot Constantia, Constantia Uitsig, Steenberg will open their doors, and cellars, for us. 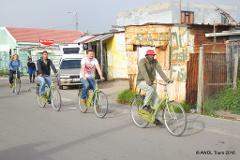 Come, experience the oldest wine region of South Africa - on a bicycle!